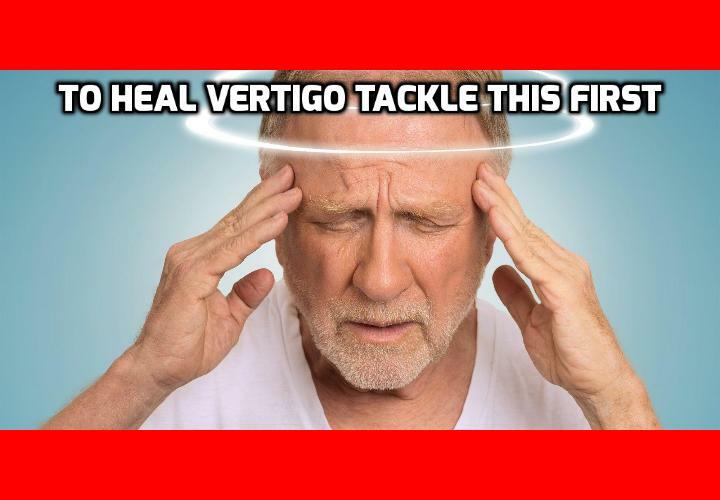 It’s most often pretty straightforward to heal vertigo. But there is one little thing that can stand in your way according to a new study published in the journal Frontiers in Neurology. Fortunately, this one thing doesn’t stop you from curing your vertigo, it just requires a little more persistence. Scientists analyzed the information of 127 patients who had been diagnosed with benign paroxysmal positional vertigo at the Department of Otology in Shengjing Hospital of China Medical University during the last three months of 2016 and the first half of 2017. The patients were treated with the typical canalith repositioning maneuvers appropriate for their condition and were asked to return one week later for follow-up. Those who was still experiencing problems were treated in the same way until their conditions were resolved. Once their symptoms had completely subsided, they were contacted monthly and were asked to return to the hospital if their symptoms reappeared. The researchers labelled them as cured when they showed no more nystagmus (involuntary eye movements) upon head movement and reported no more dizziness. Their levels of anxiety and depression were tested using the Zung self-rating anxiety scale and Zung self-rating depression scale, two questionnaires especially developed and verified to be accurate for Chinese patients. 70% of patients were cured by only one treatment, but while this was true for 84% of those who did not suffer anxiety and depression, only 56% of those with anxiety and depression benefited that quickly. Once they were re-treated once a week for five weeks, all of them were cured, both the psychologically healthy and unhealthy groups. This means that psychological factors interfere only with the initial treatment, and with enough perseverance, they do not prevent treatment from becoming effective.